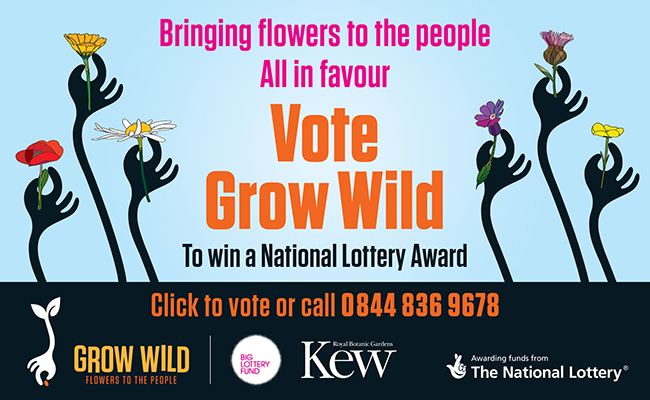 Grow Wild is BGCI member Kew Garden’s national outreach initiative, and it has been shortlisted for a prestigious National Lottery Award. Kew is appealing for BGCI members to encourage thousands of people to vote for Grow Wild to be crowned the UK’s best environmental project. Winners will be announced on BBC One television in September. BGCI members may recall Kew’s Grow Wild team presenting at the BGCI’s 9th International Congress on Education in Botanic Gardens in 2015. Kew wants to showcase outreach learning by a botanic garden and share publicity the impactful work that gardens do in society. Grow Wild’s Programme Manager Philip Turvil said “We’re thrilled to reach the National Lottery Awards final. 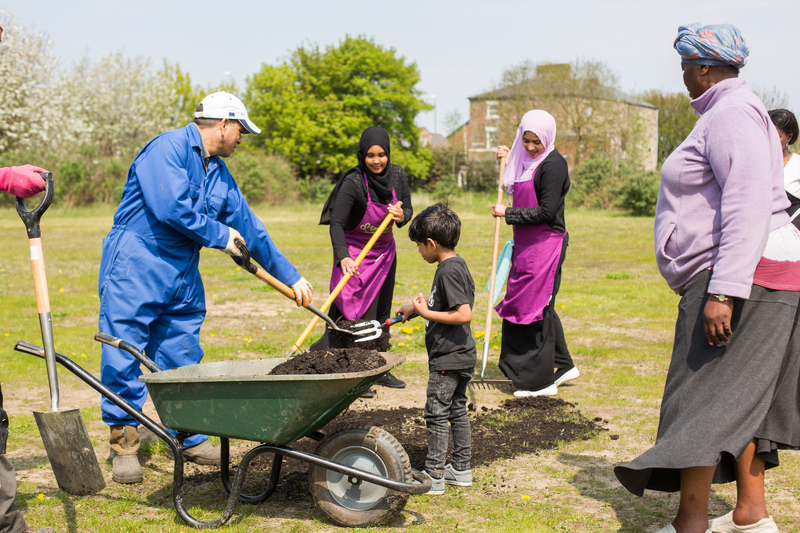 Thanks to Lottery money, three million people have come together to transform their local spaces, bringing colour and wildlife to urban areas in England, Wales, Scotland and Northern Ireland. 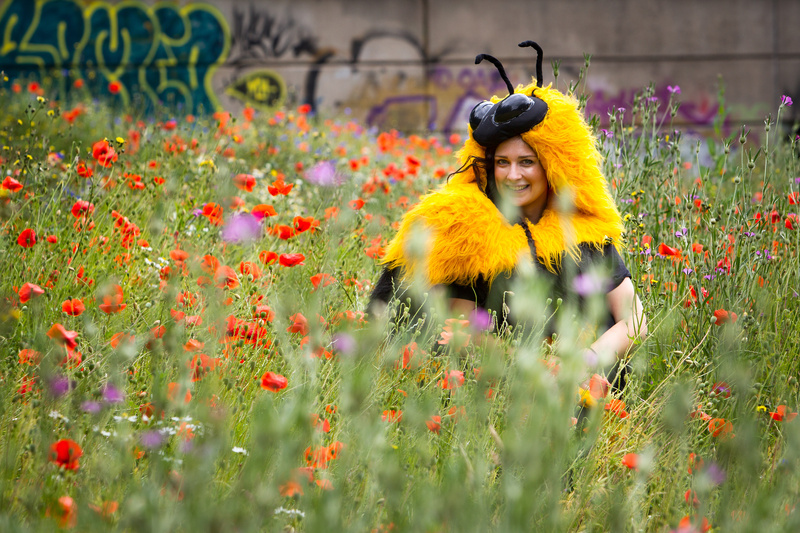 Grow Wild is the UK’s biggest-ever wild flower campaign, bringing people together to transform local spaces with native, pollinator-friendly wild flowers and plants. 2. Please invite your friends, family and colleagues to vote for Kew! Voting ends at midnight on 20 July. *UK calls cost 5p max (a connection charge may be applied by some networks. Please check with your provider). The National Lottery Awards voting is independently adjudicated and verified by Electoral Reform Services. Full terms and conditions can be found at www.lotterygoodcauses.org.uk/awards.